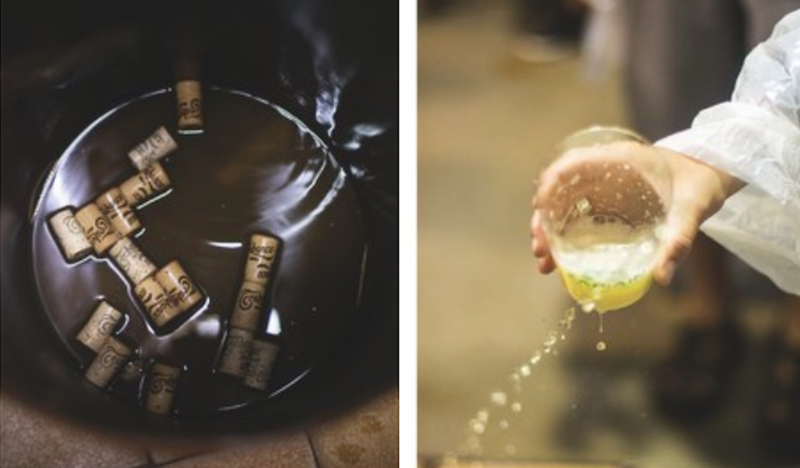 The golden stream of cider, the sizzling txuleta steak, and the boisterous on-your-feet liveliness of the Basque ciderhouse—if you are going to visit Basque Country in the winter or spring, you should seriously consider living the experience. At its most basic, these are places where the distinctly acidic, alcoholic Basque apple cider is crafted. Over the last several decades, they have evolved into restaurants with prix-fixe menus, always the same mix of salt cod and steak, and their popularity among diners has skyrocketed (and is nearing saturation). Many cider houses have been in the family for generations, and in these hallowed walls the sound of txotx! signals high-quality cider being streamed from huge kupelak, in a boisterous, fun atmosphere. Dine old-school style, at high tables and standing up, digging into chorizo, bread, a salt cod omelette, cod with peppers, and a big, rare steak. Even as a resident and yearly patron of ciderhouses, sometimes you just don't know where to go, especially when you want to mix it up. Tired of going to the same spots, and looking for a cider house on an off night (like Sunday and Monday), I decided to do a semi-definitive list of the most-highly recommended cider houses in Gipuzkoa by asking a few of the people who know best. It's worth mentioning that everyone has a reason for their favorite cider house. It can be anything from the cider to the ambience to the consistency of the steak to the overall experience. Along with this list of the best cider houses in Basque Country, I've made note of the reasons behind the recommendations. Barkaiztegi, like many cider houses, traces its origins back hundreds of years. Cider has been made by the same family in the house since the year 1680. It's a meeting place for many a cuadrilla, and the cider is of a very high-quality. The family also runs a restaurant across the road, open year round. My jury's favorite things about Barkaiztegi were the room with cider barrels, the salt cod specialty (order ahead of time), the great raw product in general, and how easy it is to reach by public transportation from San Sebastián. Zelaia is just ten minutes outside of San Sebastián, in the small town of Hernani. It's very well known and respected among locals, and it has a big txotx space with more than 20 gigantic barrels. The cider is one of the most consistent and best in Basque Country. My jury's favorite things about Zelaia were the family vibe, the space, the upholding of tradition, the steaks, the cider and the ambience. Curiously enough, this is the only cider house on the list located in Cider Town, aka Astigarraga. They are one of the biggest exporters of Basque cider worldwide, and are known for their commitment to quality and consistency. The cider house is wonderful...standing-only, as tradition demands, and you can often find the maker himself (Egoitz) pulling the txotx from the barrel, so it's a great spot for a cider nerd to ask questions. Needless to say, it was on nearly everyone's list. My jury's favorite things about Zapiain were its reputation, the way it maintains tradition, the great raw materials used in the kitchen, the tortilla de bacalao (famous all over Basque Country, thanks to Roxario), and its ambience (it's always full). Are you a cider freak? Here's a few extra nuggets as well as some runners-up. Ciderhouse = sidrería in Spanish and sagardotegi in Basque. Cider = sidra in Spanish and sagardoa in Basque. Literally, apple wine, ain't that just so poetic? Even in season, it's hard to find a cider house to go to on a Sunday or Monday night. For cider houses open on Sunday or Monday night in Basque Country, try Sidrería Alorrenea. Petritegui, the tourist-friendly standby, is also open. Real Basques only drink cider from December to May. But maybe you're not a real Basque and you might be an American with two measly weeks of vacation. If you visit out of season and just have to have that sagardotegi experience, Petritegui is open all year. Many of the sidrerías in villages are also year-round and function with a restaurant menu as well as the traditional txotx menu, like one of my personal favorites, Urbitarte. A blog by me on tasting cider. Innovation in the Basque cider world has arrived…and it’s bubbly. 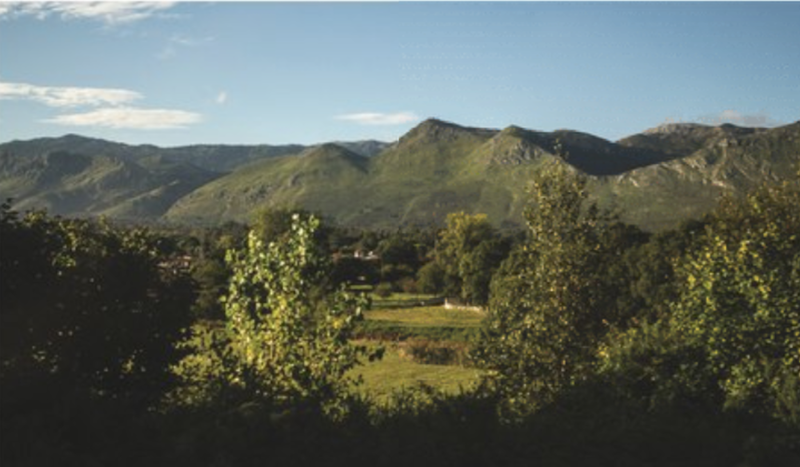 Astarbe Sagardotegi, one of the oldest cidermaking families in Basque Country, was the first to introduce a cider made using the méthode champenoise. Many have followed. byhur is a revolutionary cider, with a beautiful golden hay color, delicate bubbles, and a fresh, green apple taste. I sit for an interview with one of the most prestigious cider makers in town, Egoitz Zapiain. 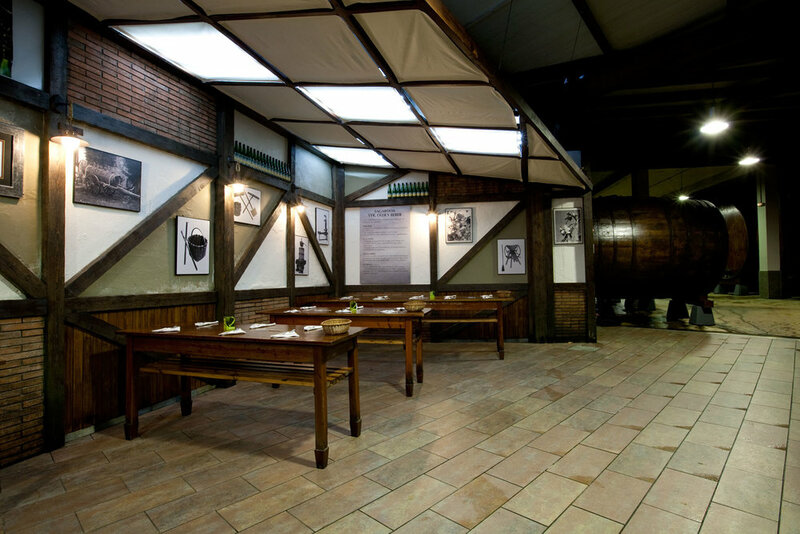 Go beyond the steak and cider binge and get to the root of cider’s spot in Basque culture at the Sagardoetxea, a museum dedicated to the hallowed beverage. The museum is in the center of cider headquarters, in the tiny village of Astigarraga. A visit during harvest season means tasting fresh juice and watching locals reenact various pressing methods, but the museum displays the local cider history and offers tastings year round.